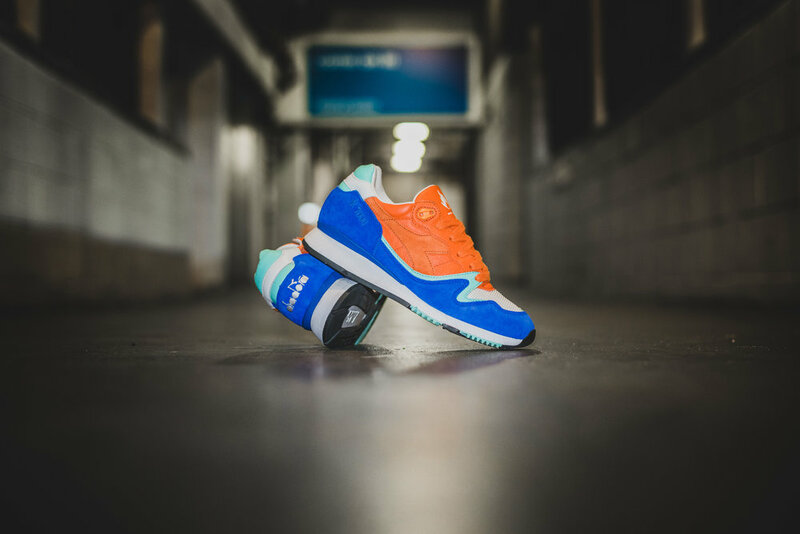 This summer we join forces with Italian sports brand Diadora and are proud to present the V7000 “Inter City” - a first V7000 release and a continuation of our “Saturday Special” theme. 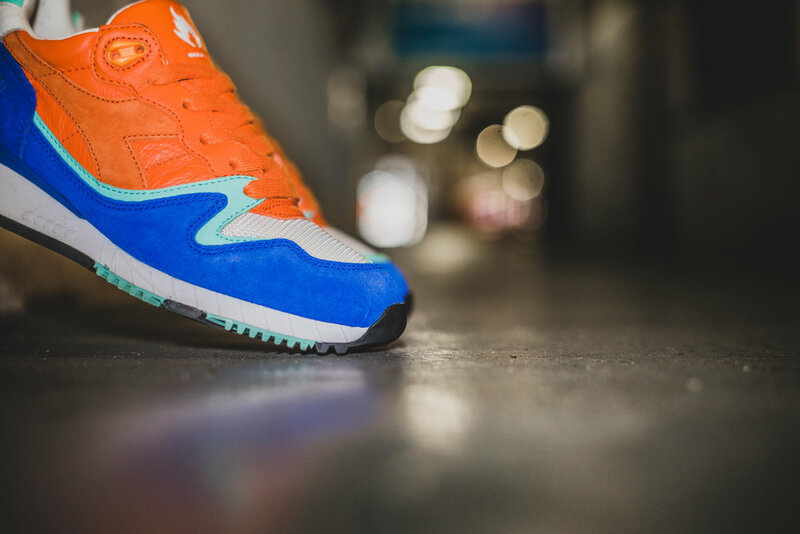 The V7000 is an original running model straight from Diadora’s 1990 catalogue, and keeping in line with the brand’s heritage, our Diadora V7000 “Inter City” is made in Italy in the renowned Montebelluna shoe district Caerano di San Marco. 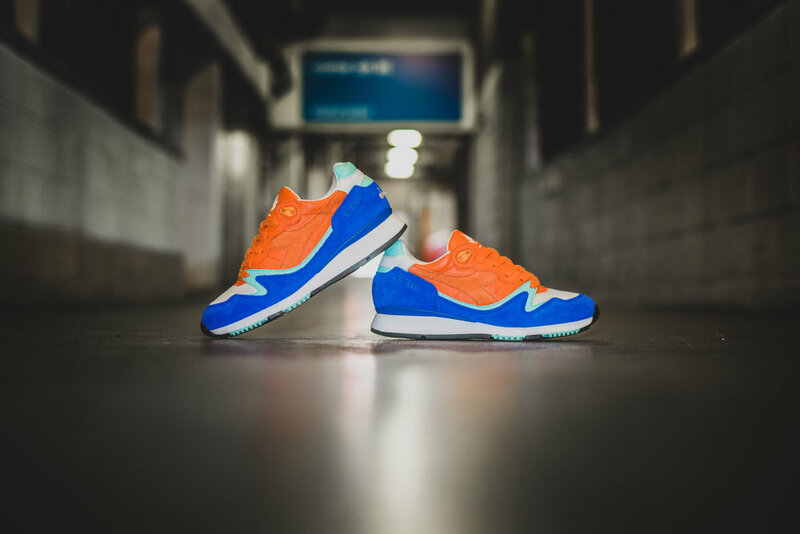 The V7000 is light in weight, and guarantees maximum foot support and comfort, while staying true to it’s original midsole which features a double density EVA called D.D Lite. Our edition of the V7000 is a continuation of our “Saturday Special” theme - a public transport service that ran throughout the UK in the 1980’s. 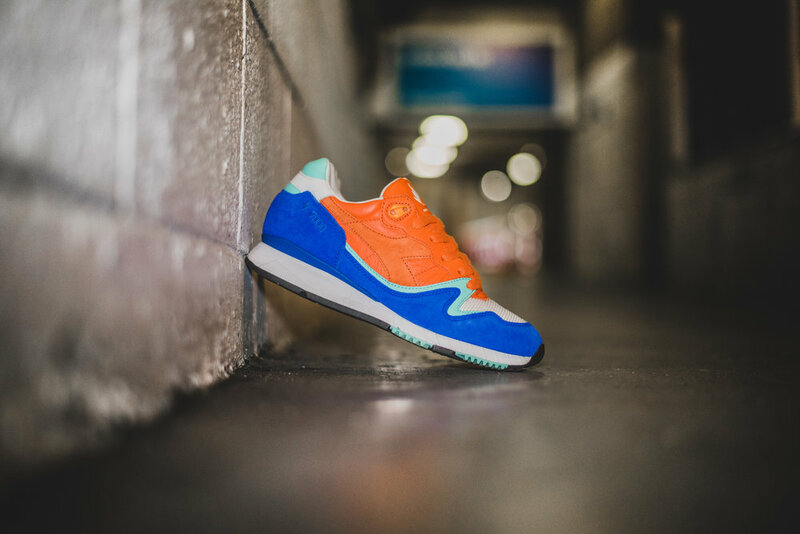 We took some inspiration from the impact of Italian sportswear during this decade and especially Diadora’s use of plush material treatments to both their football boots and legendary tennis shoes. 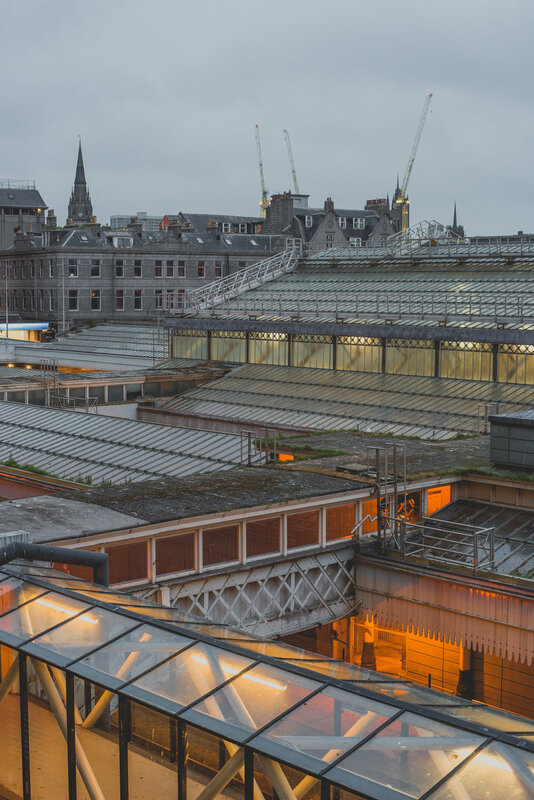 For this project, we wanted to apply a similar premium application and have up-specced the V7000 utilising Italian production and material selection. 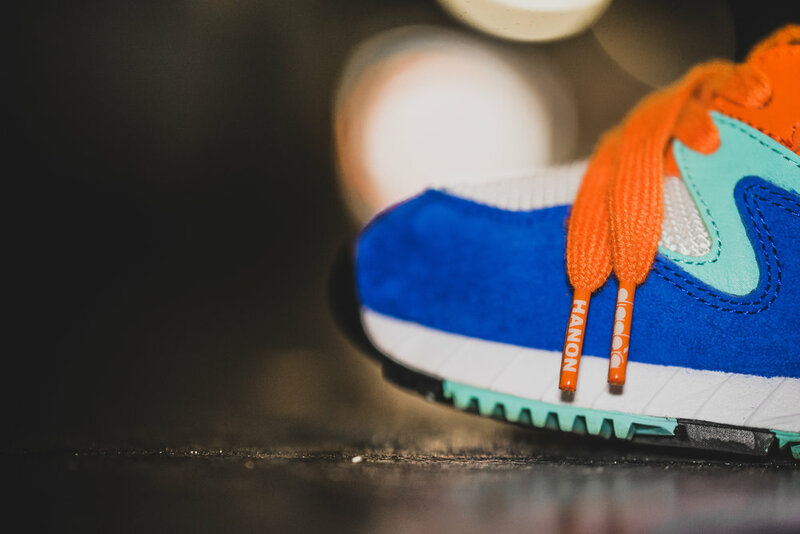 As a result, the hanon edition is hand crafted in Italy and features a rich upper of silky pig suede and kangaroo leather, as well as the original premium mesh which is also found on our hanon N9000’s. 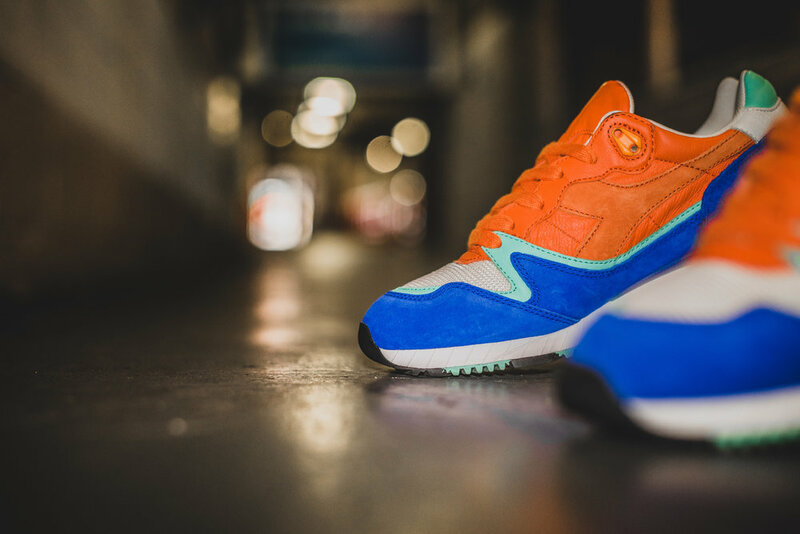 The colour palette of the hanon V7000 is inspired by 80's trains and buses, and is a mix of royal blue and orange with teal and white accents. 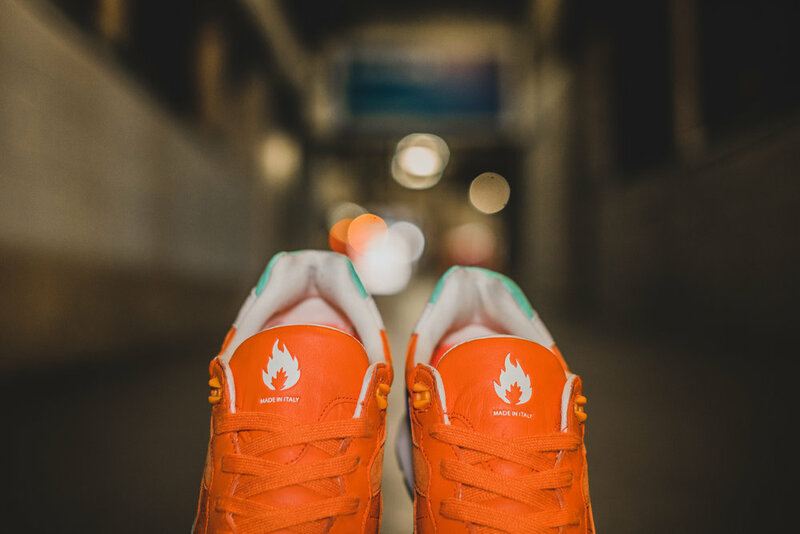 Attention to detail appears by way of an old school multi print on the in sock, whilst dual branding is featured via our flame logo - embroidered on the heel overlays and screened on the tongue patch. 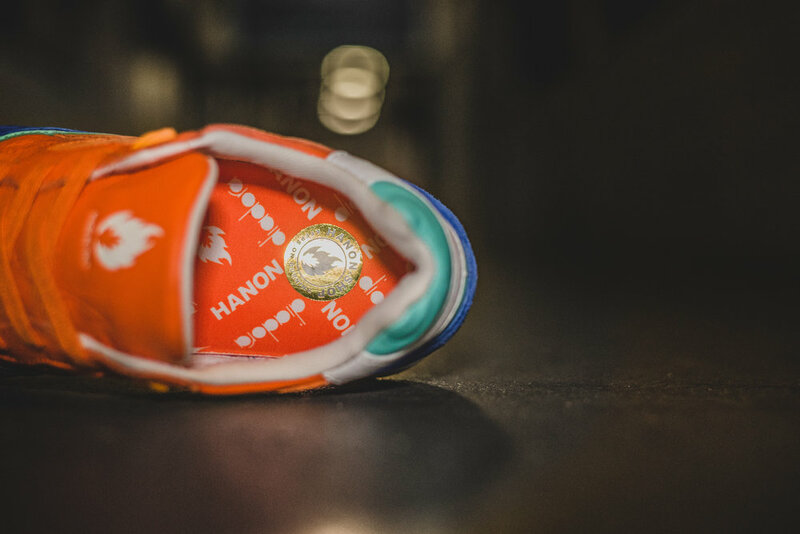 Three sets of laces - orange, white and teal, gold foil labels and an additional screened cotton dust bag, and branded tissue paper complete the shoe. 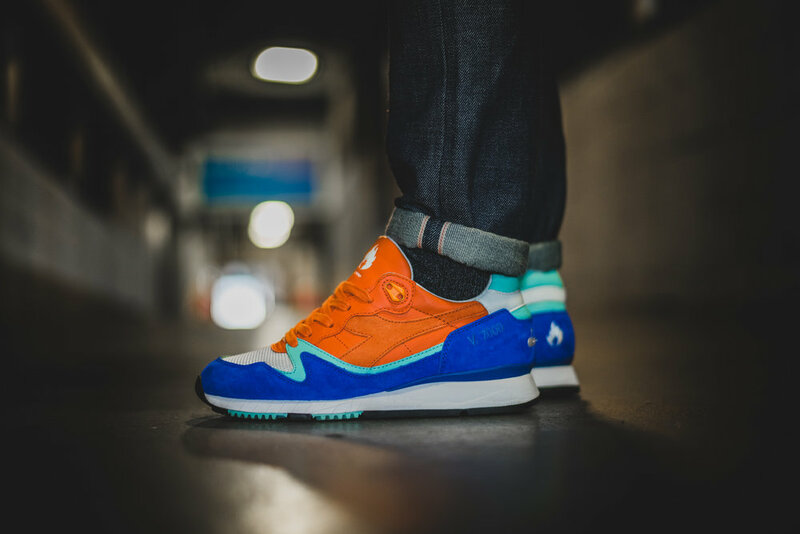 hanon x Diadora V7000 "Inter City" will launch on Saturday 9th of July at 10:00BST in-store, and online at 14:00BST.